I started with a 6x6 inch piece of acetate folded in half. I wanted to emboss the heart images, so I stamped them with dye ink first and then used a Stamp-a-ma-jig to restamp them with Versamark ink. The clear embossing powder sticks to the Versamark ink. Love this! 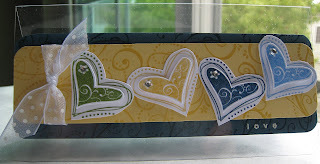 To avoid using a Stamp-a-ma-jig, there's a simpler way...thanks to a tip from my blogging buddy Jenn at Kiyomi Krafts. I forgot to use the simpler method! The Not Quite Navy cardstock is behind the acetate and the So Saffron cardstock is on top of the acetate to hid the adhesive. A matching piece of Not Quite Navy cardstock is on the back part of the acetate to allow for writing something. For dimension, the inner portion of the heart is popped up on foam tape. Theresa's challenge this week was to CASE (Copy and Share Everything) from one of our favorite designers. I choose Nichole Heady from Papertrey Ink. I love her work! 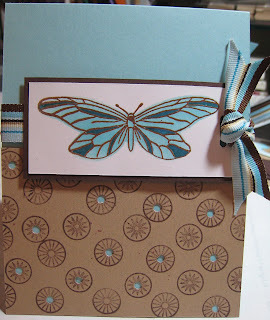 I had printed out this blue and brown paisley butterfly card from her blog in April with the intention of CASEing it. It caught my attention because I love butterflies, but I also knew I had the exact same ribbon she used in her card. 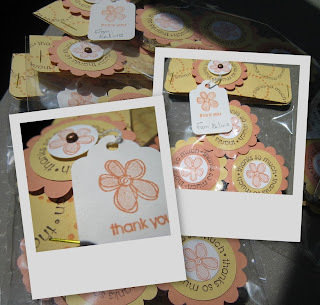 I also loved the punched circle in the kraft paper. I don't have the stamps she used, but here's my version. 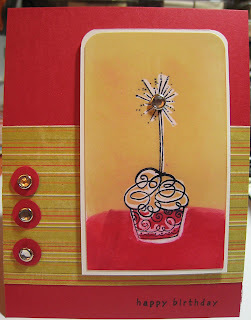 Here's my weekly card for Taylor's Cupcake Challenge #17. I had to create another card using the Crayon resist technique I love on the Hero Arts website. Jenn, from Kiyomi Krafts, created a unique Crayon challenge yesterday and she used my son, Kalino for the inspiration. Thanks Jenn for the mention on your blog! Kalino was thrilled to recognize his name on your website. What a coincidence... I was going to try the Crayon resist technique I saw on a Hero Arts YouTube video on Friday, but a bad headache kept me out of my craft area. I first stamped the image with Black Memories ink on white glossy paper. I let it dry for several minutes. I used a white Crayon to trace around the image. 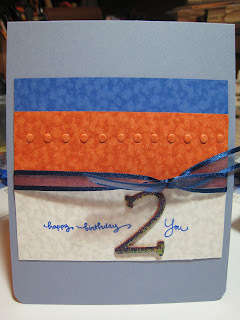 Using Stampin' Spots, I rubbed ink on the image. Using a paper towel, I rubbed off the excess ink. The white areas pop. I love this technique! 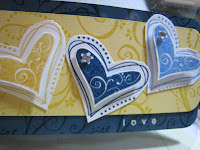 This week's challenge from Theresa was to only use scrap paper for the layers on the base card. I should definitely force myself to use scraps more often. I do save every bit of paper. The hardest part is organizing these bits and pieces. 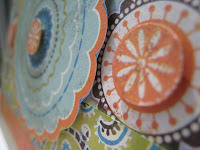 What I started doing recently is using my paper punches (scallop, circles, squares, tags, etc.) on smaller scraps of paper that are too small to be a layer on a card. 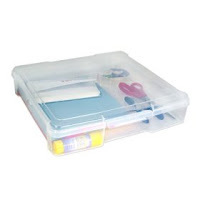 Jenn at Kiyomi Krafts has a great tip about using her flower punch and ziploc bags to keep her scraps organized. This challenge forced me to separate my pre-punched papers into ziploc bags. I started this card with Certainly Celery cardstock. 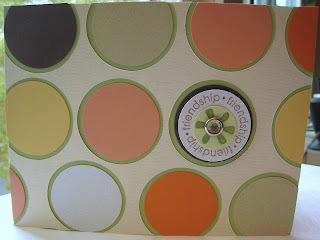 A while back when I first got my Martha Stewart Circle Cutter, I cut a bunch of 2-inch circles out of a piece of cream textured cardstock. I was left with a sheet of paper full of holes. I attached the "holey" paper to the Celery cardstock and trimmed off the excess. I didn't stamp a single thing for this card and all these circles were already punched. I taped them into place and trimmed off the excess. 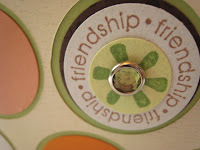 The popped up friendship layer was already stamped and had mounting tape. I just added a crystal brad to it. Paper: Certainly Celery, Chocolate Chip, Groovy Guava, So Saffron, Pumpkin Pie. The other cardstock is unknown scraps. Today was Kalino's graduation from preschool. I give a lot of credit to people who choose to go into the teaching profession...so much patience required! Kalino loved preschool from day one. He wasn't always the perfect kid, but he loved school and his teachers. He's sad today is the last day. I barely finished these gift bags in time for his graduation. I took these photos in my car during a stop at a red light. For thank you favors, I decorated York Peppermint Patties for all his teachers. I first saw this idea at Peggy's Sale-A-Bration class in February. I've also loved seeing these ideas on so many blogs. I was just at my Costco (North San Jose) and found a 3-pack of these Iris 12"x12" project cases for $14.99. I didn't have any storage containers for my 12" x 12" paper, so I'm happy to find these. I noticed my Costco increased the price of the Crop-A-Dile (with eyelets) from a clearance prices of $23.99 to $39.99...months ago when I first noticed the product it was $38.99. I've seen them lower prices, but I've never seen such a dramatic increase. Costco.com still has it for $23.49. 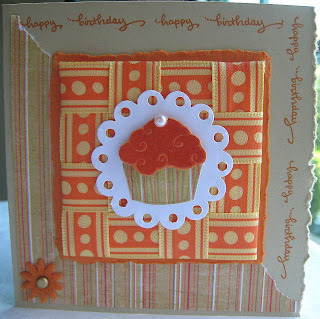 This card is for Taylor's Cupcake Challenge #16. The card design started with the ribbon. I knew one cupcake on this card would be too small, so I wanted a larger focal point. I like the look of torn paper. I tore more edges that she required on her sketch. I put 3 layers of embossing powder on the cupcake. I did some ribbon weaving about 4 years ago on a card and I was reminded of the technique by Kristina in her Make a Card Monday video. I don't know why I haven't done ribbon weaving more, I love it. This card is for Kristina's Color Challenge #9 and Theresa's All About Bling Challenge. First an apology, I've been referring to Kristina as Katrina. Duh! I don't know why. Sorry! I hate when people call me Annette instead of Anthonette. 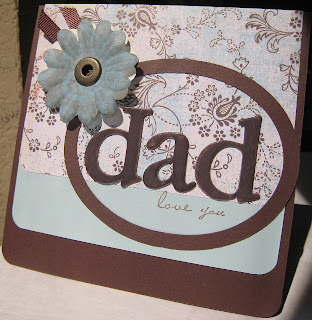 I embossed the flower images with Turquoise embossing powder. I don't have a blender pen (need one! 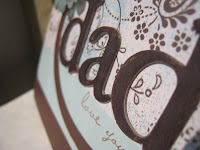 ), so I used a small brush to paint from the ink pads onto the embossed images. I cut the images out and mounted them onto So Saffron cardstock. 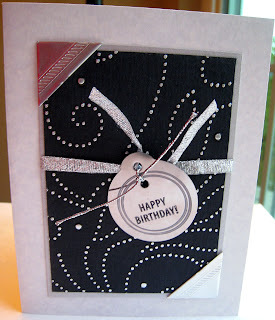 I made this card for Theresa's challenge to only use background/designer/patterned paper as our only embellishment. I loved this challenge! It's like Jen's purely white card challenge. I used one sheet of designer paper from My Mind's Eye. It's got a bohemian chic look to it. I cut out the 3-inch circle and then trimmed the scallops. It's mounted on the card with foam tape. I layered a 1-inch band of paper through the middle. I cut 3/4" circles from the paper and used foam tape to mount them on the card. 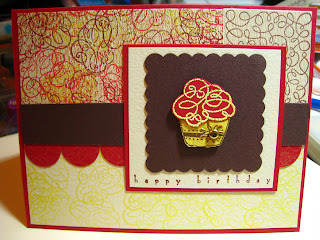 This card is for Stampin' Out Alzheimer's Challenge #9 and Taylor's Cupcake Challenge #15. I made my own background papers by stamping them with Brilliance ink pads. I was a little rushed to finish this card, so I feel it's not by best effort. The colors that inspired this card are: Chocolate Chip, Real Red, and Summer Sun. This box and cards are for Stampin' Out Alzheimer's 2008 Challenge #15. I enlarged the box dimensions to fit some pre-cut cards and envelopes I purchased at Big Lots. 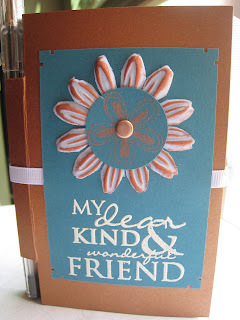 I added stamped images and sentiments. I did some free-handed drawing on the outer edge of the tag on the box. This notepad is for Stampin' Out Alzheimer's 2008 Challenge #11. Jen's instructions for the notepad are here. I also found the original instructions that Jen's referenced from ChiChi Allen. I rubbed copper ink on the white flower. I like the Southwestern color combo of copper and Taken with Teal. 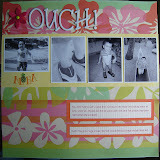 This is my 2-page layout for Stampin' Out Alzheimer's 2008 Challenge #7. The requirements for this challenge: use the 2-page layout sketch, use at least 4 photos, and 1 stamped image or sentiment. This page should be called Maui Ouwie! You were having such a good time running on the beach and kicking water all over, when you tripped and fell on some black rock (the first picture was taken right before the accident). Ouch! You got a huge scrape. We had trouble finding a large enough Band-Aid. A lot of our pictures should be called "Kalino and the Band-Aid" or "Band-Aid on Vacation". You didn't let this injury ruin your first trip to Maui. 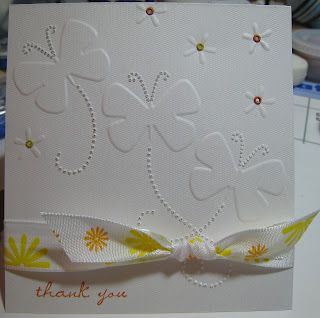 This is entry #13 for the Stampin' Out Alzheimer's - Purely White challenge. There was only one guideline; at least 50% of the visible surface on the project must be white. 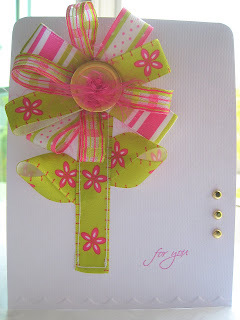 This card is for the Stampin' Out Alzheimers Challenge #10 - Ravishing Ribbons. Jen did say to use "ribbon, ribbon, and more ribbon." Boy, did I...there are 4 different colors of ribbons on this card! Again, I used inpiration from Annabelle and the YouTube user okakuku (part1 and part2) to create this card. I used my sewing maching to attach the stem and leaves to the cardstock. For this card, I decided to combine card sketches (Stampin' Out Alzheimer's #8) and Kristina's Color Inspiration #8 challenge). Wow, they are both #8! I absolutely loved the acetate card Nichole Heady created last month! I decided to make an acetate card yesterday. I've never done this before. I was inspired to use a piece of white Hambly Screen Prints overlay I bought at Maker Faire this past weekend. I love it! I cut a 2.5" by 3.5" piece. I also cut 4 pieces of Bashful Blue the same size. The acetate is sandwiched between the cardstock to hide the adhesive and the ribbon. I couldn't sew the card like Nichole's, because I'm having trouble getting the right tension on my machine. I had also never used Brilliance ink on acetate. This site says Brilliance ink will dry on acetate overnight...it did. My only problem was keeping the acetate "clean" from finger smudges and scratches, and getting a photo of the card. This card is for Stampin' Out Alzheimer's 2008 Challenge #6 - Marvelous Metal. We had to use at least 2 different metal embellishments... well, I've got at least 2 types on this card. 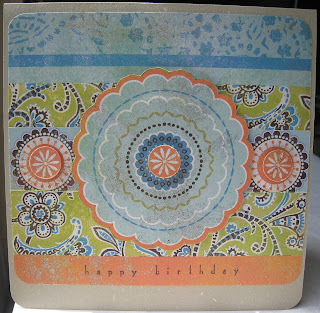 On the happy birthday stamp, I masked off the candles and scallop border. I love the metal tags, if you mess up the stamping, just erase it off! I don't have StazOn remover, but I used JudiKins Fabric & Permanent Ink Cleaner. I "erased" my work several times. 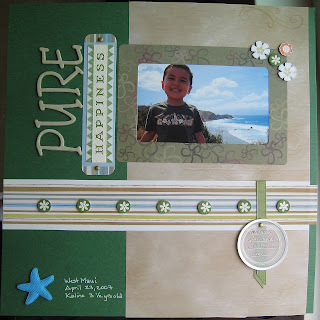 This scrapbook page if for Stampin' Out Alzheimer's Challenge #5. We had to scrap a page inspired by a favorite childhood memory. Photos were not required. The smell of Play-Doh and playing with Play-Doh are one of my favorite childhood memories. I had to totally redo this scrapbook page. I hated the paper choices I made the first time around...I used primary colors matching Play-Doh...ugh, to circus-ish (sorry, not a real word). I love the new color choices of this page. 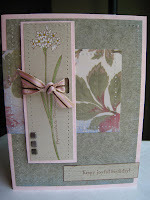 This card is for Stampin' Out Alzheimer's Challenge #4. It's a MoJo Monday Flashback sketch. I've never done one of Julee Tilman's MoJo Monday sketch challenges. 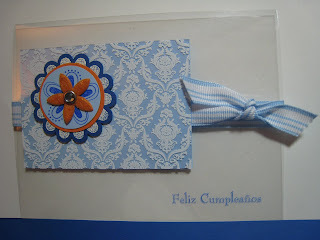 I used my sewing machine without thread to get the paper piercing throught the card. 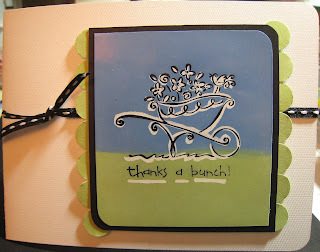 This scrapbook page is for Stampin' Out Alzheimer's 2008 Challenge #2. When I saw Jen's layout for this challenge, I knew I had to use this photo of Kalino from our vacation in Maui last April. The text on the metal tag says "This is one of my favorite photos. Kalino looks so happy!" I Won a Set of Verve Visual Stamps! I won the Father Figure set of stamps from Julee at Verve Visual! 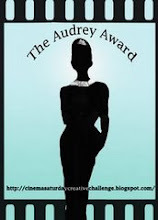 I'm today's Candyland Winner at her blog, Poetic Artistry. This made my day. Thank you, Julee! In all my huge collection of stamps, I have maybe 3 that say "Happy Father's Day". I love that Julee's set will give me more versatile phrases beyond just saying "Happy Father's Day". I can use it for my husband, Enrique, or the fathers in our life. 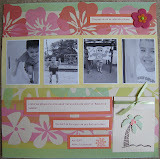 I've been working on the challenges for Stampin' Out Alzheimer's 2008 since Saturday. 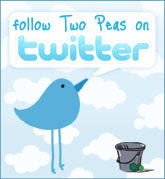 Just this morning I was starting to design a card using one of Julee's old MoJo Monday sketches. I spent all day yesterday with my Sweeties at Maker Faire in San Mateo. Two words....loved it!!!! It truly had major fun stuff for all 3 of us: robots, arts, crafts, science experiments, lightning indoors produced by Tesla coils. This event was huge. Adam Savage from MythBusters gave a talk. Ryan from Top Chef also gave a presentation. The Diet Coke & Mentos guys were there with this same YouTube presentation. Played with Sticklers and used Glaze and Souffle pens at the Sakura booth. I got a gift of Sumo Sticklers and 3 pens. I had never used them before. They dry on glass, ceramic, electronics, etc. Made this notepad at the Hambly Screen Prints booth. I spent some money here. 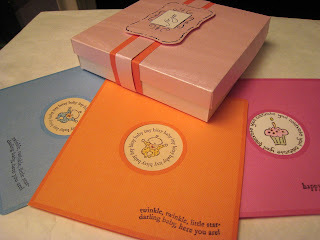 I loved the paper, acetate overlays, and rub-ons from this company. I can't believe they are located only a few miles from my house. We are definitely going to make this an annual event for our family. Maker Faire is held in Austin, TX in the Fall (October 18-19) for those of you who live in that area (yes, you, Raul, Judy, and Lauren)! I combined two challenges in one for this card. 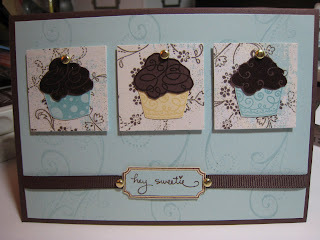 This card is for Jen's Inspiration Challenge, which had colors Chocolate Chip, Soft Sky, and So Saffron. I must have been craving chocolate cupcakes, because Taylor's Cupcake Challenge led me to use my new Stampendous cupcake stamps. I love this color combination. 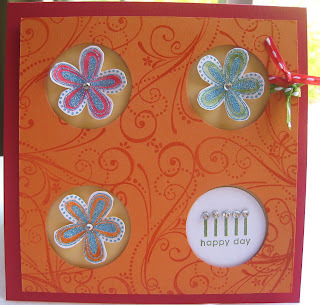 This card is for the first challenge of Stampin' Out Alzheimers (SOA) 2008. We had to create a boy's birthday card with the central design element being a number. I rubbed Groovy Guava ink on the chipboard number and then Brilliant Blue ink on top. I decided to add glitter since the number is not that big. I used my Crop-A-Dile to emboss the paper. This card is different from the card I started out designing. I made a few mistakes along the way. I mounted the card upside down...duh. I had to cut it off the card and remount it on different cardstock. 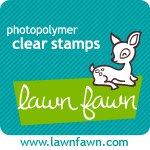 Just a reminder, please sign up for Stampin' Out Alzheimers. The cost is just a minimum donation of $5. Jen will start posting the week-long challenges late tonight. Registration will be open until midnight (Hawaii time) Friday night, May 9, but why wait? Join in the fun so you can start the challenges tomorrow morning. There are great blog candy prizes. This is my entry for Katrina's Color Inspiration #7 challenge. I designed this card for my dad, Pedro. I only see my parents about twice a year (they live in Taos, New Mexico and I live in California). I know my Dad with like this Father's Day card. This is my first time using chipboard letters...I only have pre-colored ones. I love them! 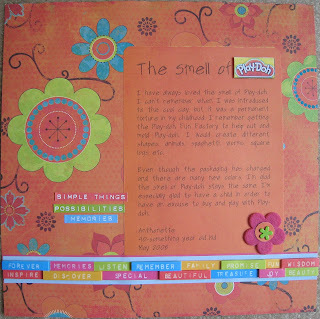 These letters are from a Making Memories scrapbooking kit. They were originally blue, and not a Soft Sky blue. I rubbed them with Close to Cocoa and the Chocolate Chip ink. I scuffed them up a bit to reveal the Close to Cocoa layer of ink. I took a plain white flower and rubbed it with Soft Sky ink. I then stamped a Victorian Lace background stamp onto it with Close to Cocoa ink. To get the "love you" phrase, I took a "love" and a "thank you" stamp and masked the two to get the phrase I wanted.